China's foreign ministry on Tuesday demanded the US drop a request that Canada extradite a top executive of the tech giant Huawei, shifting blame to Washington in a case that has severely damaged Beijing's relations with Ottawa. 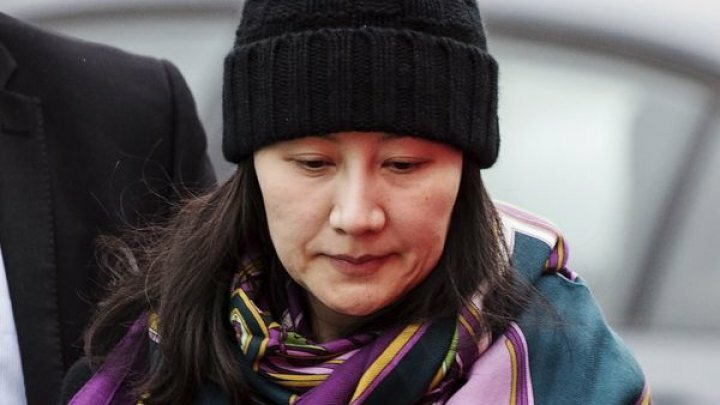 Foreign Ministry spokeswoman Hua Chunying said at a regular news briefing that Meng Wanzhou's case was out of the ordinary and Canada's extradition treaty with the US infringed on the "safety and legitimate rights and interests of Chinese citizens" which was, she said, "vile in nature." Hua said China demands that the US withdraw the arrest warrant against Meng and "not make a formal extradition request to the Canadian side." Hua's remarks come after more than 100 academics and former diplomats signed a letter calling on China to release two Canadians detained in apparent retaliation for Meng's arrest. They also follow a report by the Canadian newspaper Globe and Mail that the US plans to formally request Meng's extradition to face charges that she committed fraud by misleading banks about Huawei's business dealings in Iran. China detained former Canadian diplomat Michael Kovrig and Canadian entrepreneur Michael Spavor on Dec. 10 in an apparent attempt to pressure Canada to release Meng, who was arrested Dec. 1 at the request of US authorities. Hua called the letter "disrespectful" and accused its authors of interference in "China's sovereignty and internal judicial affairs". Hua also criticized remarks by Canada's former spy chief on Monday calling on Ottawa to ban Huawei from 5G networks. Hua accused the US and Canada of "wanting to create panic" over Chinese spying with no evidence.